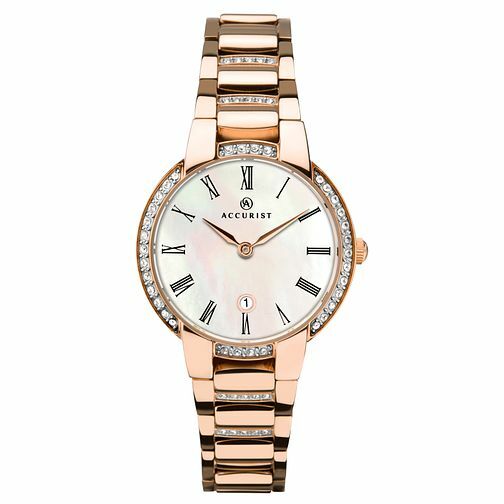 This stunning Accurist Signature classic women’s timepiece exudes glamour. This watch features a stylish and durable rose gold plated solid stainless steel bracelet and case embellished with Swarovski® crystals. Exquisitely finished with a mother-of-pearl dial and a date display, this is the perfect accessory to add a little luxury to your attire. Includes 2 year guarantee. Accurist Signature Ladies' Stone-Set Rose Gold Plated Watch is rated 5.0 out of 5 by 1. Rated 5 out of 5 by Anonymous from Very elegant and beautifully made. 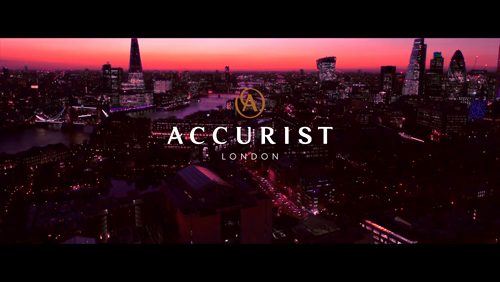 Accurist have been a watch make I've been purchasing for 8 years now and I always use H. SAMUEL as my retailer for them. I never have any issues with the quality of the watches or customer service.